Why Buy A Used Lamborghini When There's The Original Acura NSX? Nothing wrong with a Japanese exotic instead of an Italian one. The first generation Acura/Honda NSX and Lamborghini Gallardo briefly crossed production paths, from 2003 until 2005. The Gallardo would go on to become the company’s best-selling car in its history, while the NSX forever changed what a modern supercar ought to be. There are plenty of used examples of both available today, and depending on condition, pricing is somewhat similar for 2005 models. 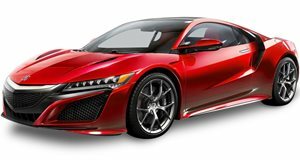 The NSX, generally speaking, is priced a bit higher but not insanely so. Point being, for anyone considering Lamborghini’s early 21st century V8 mid-engined offering, they really ought to also consider an NSX. Why? Because it’s less common, for starters. It also makes crystal clear you’re an enthusiast who sought something special. It’s not that the Gallardo isn’t a great car (it is), but the NSX just has that extra something to it. Maybe it’s because of its F1 roots, or its F16 fighter jet cockpit-inspired dash design. It was also the world’s first mass-produced car to feature an aluminum body, as Harry Metcalfe points out in this latest Harry’s Garage. Not surprisingly, he owns not only the first generation 2005 NSX, but also a second-gen model. But today’s focus is on the original, and we can’t get enough of it.